Sask Valley Dental - Sask Valley Dental welcomes new patients and emergencies. Welcome to Sask Valley Dental! Sask Valley Dental welcomes new patients and emergencies. When you have dental issues, you need to turn to a dentist who listens and responds… an experienced doctor who knows the field and can effectively diagnose and treat your needs… a friendly dentist who counsels you on the best ways to maintain and improve your health. We are located on the north-east side of Swift Current, Saskatchewan at 2001 Saskatchewan Drive. 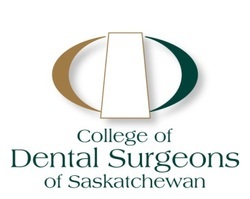 Sask Valley Dental provides the City of Swift Current and the surrounding area with a full range of dental services. This website is a useful tool to learn more about our practice, our dental care team and our dental services. Be sure to visit our Contact Us page for our hours as well as a map to Sask Valley Dental.